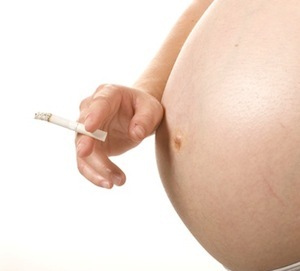 Despite the huge push to stop smoking during pregnancy, some women still choose to continue smoking. One recent study reported white women are more likely to smoke during pregnancy than any other ethnicity. When women claim they are unable to stop smoking during pregnancy, there has been nothing the obstetrician could do to improve the health of the unborn fetus, until now. According to current research, vitamin C supplementation may be strong enough to improve fetal lung health and, essentially, pregnancy outcome. Choosing to smoke during pregnancy impacts more than maternal health; lung function of the fetus may be impaired and that impairment can have negative side effects on the life of the child. Researchers associated with this study presented their findings at the American Thoracic Society meeting in San Francisco. Just fewer than 160 women were included in the study. The women were given either a placebo or 500 mg of vitamin C from 22 weeks gestation until the conclusion of the pregnancy. A control group of 76 women who did not smoke were also part of the study. Non-smoking women had higher TPTEF:FE and Crs levels than smoking women. Smoking women who took the vitamin C had higher levels than smoking women who were given the placebo. TPTEF:FE and Crs stands for Peak Tidal Expiratory Flow to Expiratory Time and Respiratory Compliance, respectively. In summary, the pregnant women who chose to smoke and took 500 mg of vitamin C during pregnancy gave birth to infants with fewer lung problems than infants born to mothers who did not take the vitamin C supplement. Despite the fact that the study population was small, researchers are also excited to report a possible genetic connection between smoking, smoking cessation and lung cancer. The same genetic variant associated with increased risk of developing lung cancer could be present in women who have the most trouble quitting smoking. These women are also most likely to relapse and start smoking again. The first priority is to convince women to stop smoking when they become pregnant, but researchers and doctors understand there are women who simply don’t feel they can stop smoking. In these cases, supplementing with 500 mg of vitamin C per day may be enough to reduce the risk of lung damage due to maternal smoking. Source: American Thoracic Society. May 24, 2012.